There are those among us who are “health blind”, i.e., handicapped at sensing the health signals most of us easily recognize on others around us. They are the color blind. But we at O2Amp can fix that. Despite the presence of modern electronic medical sensing tools, medical personnel still rely on their naked-eye visual skills when examining and judging the symptoms and health of patients (Savin et al. 1997). But it is not widely appreciated that approximately 5% of medical personnel – 10% of men and 1% of women – are “health blind”, i.e., they are severely perceptually handicapped at sensing the health symptoms of patients. And they – and those that hire them – often don’t even realize. Who are these “health blind” medical personnel? Although not widely appreciated, it has long been documented that red-green color-deficients are disabled at seeing veins, vasculature, pallor, cyanosis, jaundice, rashes, bruising, erythema, retinal damage, ear and throat inflammation, and blood in excretions (Dalton 1798; Wilson 1855; Best & Jaenel 1880; Little 1881; Ahlenstiel 1951; Logan 1977; Voke 1980; Steward & Cole 1989; Spalding 1993, 1995, 1997, 1999, 2004; Currier 1994; Anthony & Spalding 1999, 2004; Campbell et al. 1999, 2004, 2005; Reiss 2001; Cockburn 2004; Cole 2004; Changizi et al., 2006, suppl Table 1; Spalding et al. 2012). Even 18th century scientist John Dalton, who was color blind, observed that he “could scarcely distinguish mud from blood” (Dalton 1798). Even today 10% of the 500 most prevalent medical conditions list skin color changes amongst the symptoms (Changizi & Rio 2009), and a red-green color deficient’s deficit in discriminating reds and greens makes him or her unable to see these everyday health color signals on the skin. Color deficiency can consequently lead to medical misdiagnosis (Campbell, 1999; Campbell et al., 2004, 2005), and has at various times prevented entry into medical school (Hiroshi, 1998). If you’re red-green colorblind, then you’re health-blind. And among those not traditionally deemed color deficient, many are mildly so, and thus mildly health-blind. 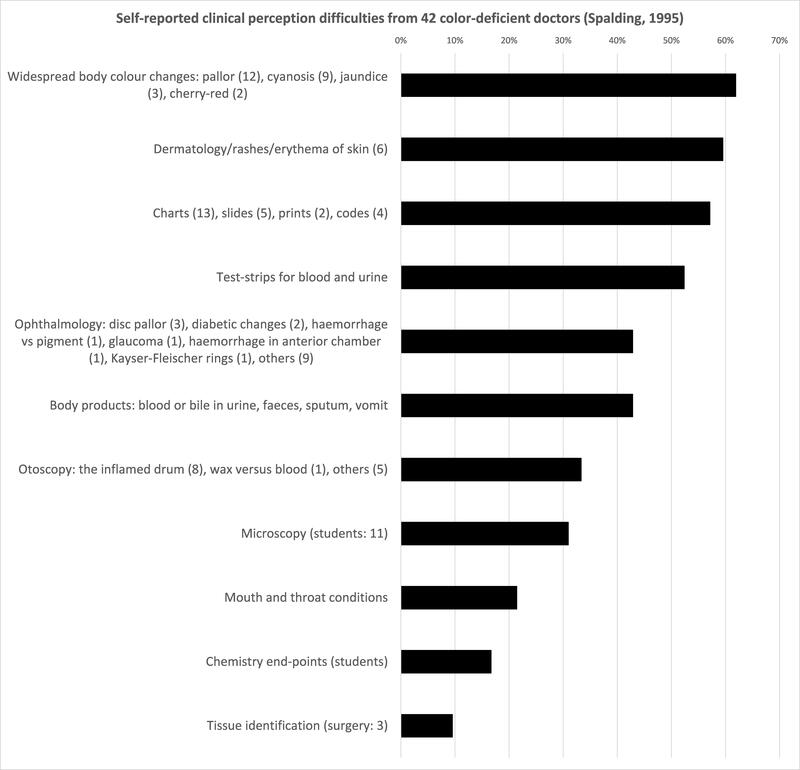 Self-reported clinical perception difficulties from 42 color-deficient doctors (Spalding, 1995). A variety of occupations (e.g., pilots, police) routinely require passing a color exam before entry, and in some countries passing a color exam is even required in order to get a driver’s license. But, except in rare instances (e.g., Hiroshi, 1998), color blindness had not been a formal barrier for becoming a doctor. Unfortunately, a recent discovery by researchers at our 2ai Labs ( http://2ai.org ) shows that color blindness is not just a problem for medical personnel, but a disproportionate problem for the medical community. In 2006, we showed that color vision evolved specifically to distinguish health and emotion states on the skin: our peculiar primate variety of color vision evolved to be optimized for sensing the oxygenation modulations hemoglobin undergoes under the skin (Changizi et al., 2006). Red-green color vision is uniquely about seeing oxygenation, and therefore red-green color-deficients are especially hindered at seeing the skin signals that underlie health signals. Unlike other fields where colorblindness is a handicap but where it is actually fairly unlikely to find perfectly indiscriminable colors to a color-deficient, the oxygenation variations of blood under the skin are completely invisible to the red-green colorblind because they’re missing the evolved machinery specifically designed to detect it. Color deficiency is also a serious liability issue for medical staff and their employers, and color deficient doctors have been sued on this basis (see citation to News & Observer). Historically there has been no solution for the color deficient clinician. Varieties of filtered eyewear for color deficients exist that can help them pass Ishihara tests or perceive certain discriminations among objects in the world. But none were designed to enhance the signal that primate color vision evolved to detect: oxygenation variations in the skin (Changizi et al., 2006). And thus no previous color blindness treatment was consistent with the health perception demands of medical personnel. We at 2ai Labs, having discovered the evolutionary function of color vision, were in the unique position to design optical technology to enhance the signal for which color-deficients are deficient. In particular, we created O2Amp, our company highlighting several distinct optical technologies for enhancing perception of facets of the blood under the skin. For color deficients our flagship technology is our Oxy-Iso Colorblind Correction Medical Eyewear, designed to amplify and isolate the oxygenation signal coming from under the skin. Color-normals use the eyewear to enhance perception of veins, but color-deficient medical personnel use the eyewear to amplify their minimal baseline sensitivity to oxygenation variations in the skin. …the Oxy-Iso aids color-deficiency in a manner consistent with the symptom-, vasculature-, and health-perceptual needs of doctors, nurses and other medical personnel. “This is exciting. I have not been able to see colors my entire life… They really work. I recommend them.” – Cary M. Silverman, MD, ophthalmic surgeon, Eyecare 20:20. Video review. 1. Ahlenstiel H (1951) Red-green blindness as a personal experience. Kodak Research Library, London. 2. Anthony J, Spalding, B (1999) Colour vision deficiency in the medical profession. Br J Gen Pract 49: 469-475. 3. Anthony J, Spalding B (2004) Confessions of a colour blind physician. Clin Exp Opt 87: 344-349. 4. Best, F, Haenel H (1880) Rotgrün blindheit nach schneeblendung. Kin Monatsbl Augenheilkd. Beilagen 45: 88-105. 5. Campbell JL, Spalding AJ, Mir FA, Birch J (1999) Doctors and the assessment of clinical photographs—does colour blindness matter? Br J Gen Pract 49: 459-461. 6. Campbell JL, Spalding AJ, Mir FA (2004) The description of physical signs of illness in photographs by physicians with abnormal colour vision. Clin Exp Optom 87: 334-338. 7. Campbell JL, Griffin L, Spalding AJ, Mir FA (2005) The effect of abnormal colour vision on the ability to identify and outline coloured clinical signs and to count stained bacilli in sputum. Clin Exp Optom 88: 376-381. 10. Cockburn DM (2004) Confessions of a colour blind optometrist. Clin Exp Opt 87: 350-352. 11. Cole BL (2004) The handicap of abnormal colour vision. Clin Exp Opt 87: 258-275. 12. Currier JD (1994) A two and a half colour rainbow. Arch Neurol 51: 1090-1092. 13. Dalton J (1798) Extraordinary facts relating to the vision of colours. Memoirs of the Manchester Literary and Philosophical Society 5: 28-45. 14. Hiroshi T (1998) Relaxation of university admission restriction for students with abnormal color vision. Japan Ophthalm 59: 123. 15. Jeffries BJ (1983) Colour blindness—its dangers and detection. Riverside Press, Cambridge, MA. 16. Little WS (1881) Experience of a red-blind physician with one ophthalmoscope. Practical advantage of colour-blindness with a case. Arch Ophthalm 10: 20-22. 17. Logan JS (1977) The disability in so-called red-green blindness. An account based on many years of self-observation. Ulster Med J 46: 41-45. 19. Reiss MJ, Labowitz DA, Forman S, Wormser GP (2001) Impact of color blindness on recognition of blood in body fluids. Arch Int Med 161: 461-465. 20. Savin JA, Hunter JAA, Hepburn NC (1997) Skin Signs in Clinical Medicine. Mosby-Wolfe, London. 21. Spalding JAB (1993) The doctor with an inherited defect of colour vision: the effect on clinical skills. Br J Gen Pract 43: 32-33. 22. Spalding JAB (1995) Doctors with inherited colour vision deficiency: their difficulties in clinical work, In Cavonius CR. Ed. Proceedings of the International Research Group for Colour Vision Deficiency. Kluwer International Publishing: 483-489. 23. Spalding JAB (1997) Doctor with inherited colour vision deficiency: their difficulties with clinical work. In Colour Vision Deficiencies XIII (ed. Cavonius, C.R.) Kluwer, Dordrecht, pp 483-489. 24. Spalding JAB (1999) Medical students and congenital colour vision deficiency: unnoticed problems and the cases for screening. Occup Med 49: 247-252. 25. Spalding JAB (2004) Confessions of a colour blind physician. Clin Exp Optom. 87: 344-349. 27. Steward SM, Cole BL (1989) What do colour vision defectives say about everyday tasks? Optom Vis Sci 66, 288-295. 28. Voke J (1980) Colour vision testing in specific industries and professions. Keller, London. 29. Wilson G (1855) Research on colour blindness with a supplement. Southerland and Knox, Edinburgh. “I’ve just received a couple of special specs to attempt to reduce my colour blindness, from Mark Changizi and O2Amp. When I first put one of them on, I got a shiver of excitement at how vibrant and red lips, clothes and other objects around me seemed. I’ve just done a quick 8 plate Ishihara colour blindness test. 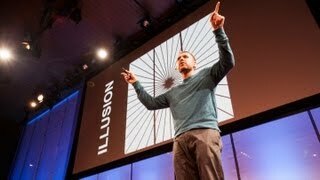 I scored 0/8 without the specs (so obviously colour blind), but 8/8 with them on (normal colour vision)!” Daniel Bor, psychologist, University of Sussex, author, The Ravenous Brain. “…the oxy-iso lens blew me away. All of a sudden, the numbers just appeared on the screen!” Debra Miller Arbesman. “Words can’t express how it feels…” Bruce Berls, “Amazing! Oxy-Iso Glasses Cure Red-Green Colorblindness. “This is a life-changing product! For 73 years I have been seriously handicapped by red-green colour blindness. I can now read all the Ishihara tests with ease and can see blossoms on the trees for the first time! Thank you very much.” David A. “I bought these as a gift for a friend of mine. He is a 50 year old man who has been colour blind all his life. He loves the glasses and wears them all the time especially for driving as he he says the colour enhancement is amazing. As a man myself, I am bordering colour blind and cannot pass the Ishihara colour blind test. When the lenses were delivered here I tried them myself and passed hte test easily. So I would recommend them. For reference the lenses are quite thick and would not be easy to break by children.” Stephen J. “I wanted to send you a sincere, heart-felt thank you for your work on the O2AMP Oxy-Iso lenses. My boyfriend is red-green colorblind, and after 30 years he is now able to see the rosiness of his niece’s cheeks, the shades of red brick on the streets of Boston, and a full spectrum of colors which he has never experienced. He received the lenses yesterday and he has not taken them off aside from when he slept.” Iris K.
“Used the Iso’s on a gentleman, couldn’t feel on either arm. Was able to really see the basillic vein of the L antecubital. Was a successful draw. Apparently this man was a very hard draw. Patient stated: ‘technology is a beautiful thing.’ He told me he hates having his blood drawn. He left very happy. I feel like I have a little cheat and its wonderful! =D” Tara Roberts, ASCP certified phlebotomy technician at a St Lukes clinic in Boise ID. “…veins were obvious with the dark purple eyewear.” Jason Goldman, developmental psychologist and writer for Scientific American. “I have successfully used the darkest pink glasses to start many difficult IV’s. Once, in an attempt to place a line in a child, only a small circular region of the vein was visible, and so its orientation imperceptible. But with the Oxy glasses, enough of the vein became visible that its orientation could be seen, and the line placed.” Jake Youren, St. Alphonsus Medical Center. “A car accident victim complained in the ER of chest and abdomen pain, and although no bruising was apparent, with the Hemo-Iso glasses one could clearly see the bruised impression of the seat belt on her chest and abdomen.” Jake Youren, St. Alphonsus Medical Center. “All the customers noticed that [the Oxy-Iso] eyewear really improves our vision to see the veins. They think it might be very useful for blood withdraw, specially in kids. Also, they noticed that glasses protects a lot the eyes, considering it as personal protection device.” Rodrigo Didario, distributor in Brazil. “The glasses are a great hit with the staff on the Msed mobile hospital unit. During the height of [Hurricane] Sandy, we successfully delivered a preterm baby at 35 weeks in a church. I used the glasses to detect oxygenation as the child came out and it helped prevent intubation knowing that vital information. 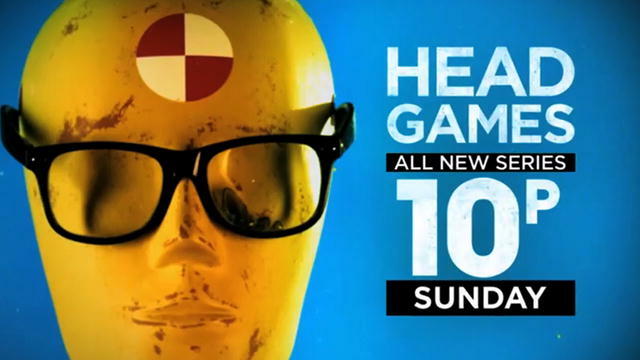 The story made it to the news as well as the discovery channel which just filmed a documentary on how the innovation and technology of the mobile hospital.” Jason Steinfeld, registered respiratory therapist. O2Amp Oxy-Amps are the new baseline lens blank for eyewear, here shown with five different polarized sunglass shades overtop. By removing narrow slivers of optical noise, our Oxy-Amp lens blanks provide superior color vision, and are the new starting point for lens blanks. Here are some of its advantages. Nature-validated color-enhancement. Our optical filtering technology provides a strict enhancement to color vision, as nature intended it. In particular, we designed our Oxy-Amp to enhance perception of oxygenation variations in the skin, the very signal our red-green color vision evolved to detect. It works by removing narrow slivers of optical noise — a kind of “glare” — emanating from the spectral signals from other people. Enhanced perception of people. Perception of people and their emotions, moods and states are enhanced. It’s the first eyewear and light-filtering technology designed for seeing…people. Maintains perception of the world. The Oxy-Amp filter blocks only a tiny amount of light, and is designed not to interfere with other aspects of perception; the world retains its intrinsic colors and beauty. Smartly shades the sun. For sunwear, the Oxy-Amp begins by cutting out sun glare in exactly the spots which simultaneously enhance our evolved perception of color. Ready for optical add-ons. Because the Oxy-Amp targets only a thin sliver of wavelengths, it makes the perfect starting point for the addition of further optical enhancements, whether it be prescription curves, polarization (see photo above), or filters designed for specific sports or habitats. Part of the lens blank itself. And our Oxy-Amp is achieved via a dye, and is part of the UV-protected polycarbonate structure from its very formation. Mark Changizi is Director of Human Cognition at 2AI, a managing director of O2Amp, and the author of HARNESSED: How Language and Music Mimicked Nature and Transformed Ape to Man and THE VISION REVOLUTION. .
Mark Changizi is Director of Human Cognition at 2AI, a managing director of O2Amp, and the author of HARNESSED: How Language and Music Mimicked Nature and Transformed Ape to Man and THE VISION REVOLUTION. He is finishing up his new book, HUMAN 3.0, a novel about our human future, and working on his next non-fiction book, FORCE OF EMOTION. My most recent book, Harnessed, has now appeared in Korean translation, with tireless translator Seung Young Noh. For more info about the book, here’s a start: a review by Nobel laureate. 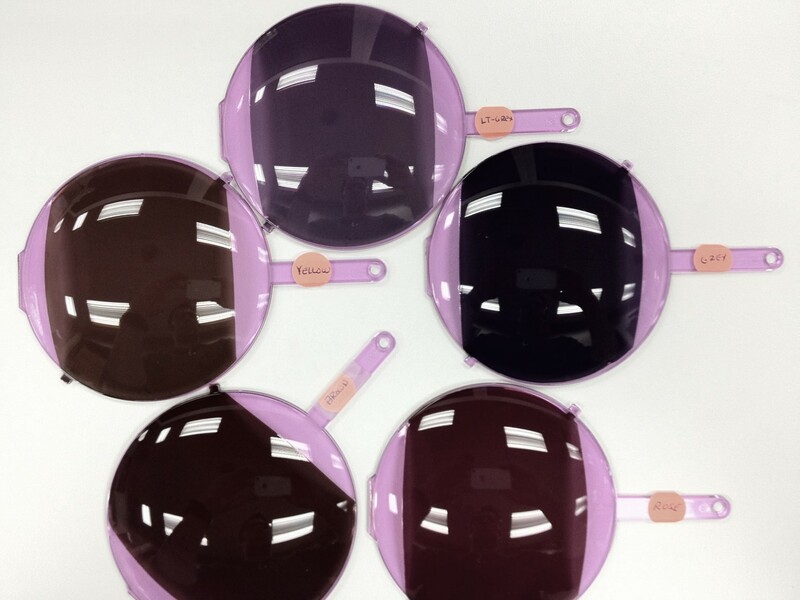 Whether you like our O2Amp “Oxy-Iso” for its applications in medical, colorblindness, or sunwear (see below), you’ll be excited to get the technology in Smith frames if you’re one of our first 50 orders starting today. For a limited time, our Oxy-Iso eyewear will be in Smith frames. …the first 50 orders beginning today. We’ve been selling our O2Amp eyewear for medical and colorblindness purposes, but — the secret is — I have been wearing our technology for the last year for a different reason altogether. …as sunglasses. Of our current three eyewear technologies, the Oxy-Iso has for me been the perfect sunglasses. Dark enough for sunny days, but what’s fantastic about it is that it enhances how everyone looks around me in a way that’s frankly a joy. We hadn’t anticipated this — this cosmetic side to our technology. Nor did we figure that one might actually enjoy this enhanced view of people and their emotional skin states. I personally love it! We now have prototype polarized, non-pink, sunglass versions of one of our other technologies, the Oxy-Amp, so it will soon also be a candidate for sunglasses. It is this Oxy-Amp technology that is a strict enhancement to our color vision, enhancing the oxygenation signal by blocking very narrow bands of noise coming from the skin. By shading the sun at these noisy bands, one shades the sun smartly in those bands that actually hinder what color vision is principally for. But, alas, these darker versions of the Oxy-Amp aren’t available quite yet. But the Oxy-Iso makes a great pair or sunglasses, and is available now. In fact, starting today we have a promotion where the first 50 orders of the Oxy-Iso will be inside Smith frames rather than our usual frames.